Thinking of introducing a dog or cat into your current canine or feline family? 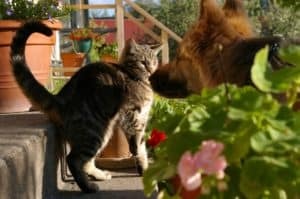 Here’s 5 steps to stop them from fighting like cats and dogs. By taking a few simply precautions when introducing a dog or cat into your current family, your pets will disprove the saying of, “fighting like cats and dogs”! There are several ways of introducing your dog to your cat, just know that changing patterns takes about 3 months. Don’t get discouraged, it will take time. During this process, you need to make sure you keep everything under control and your pets safe. On the day you bring home a pet, the ASPCA recommends that you put the new pet in a crate or another room. 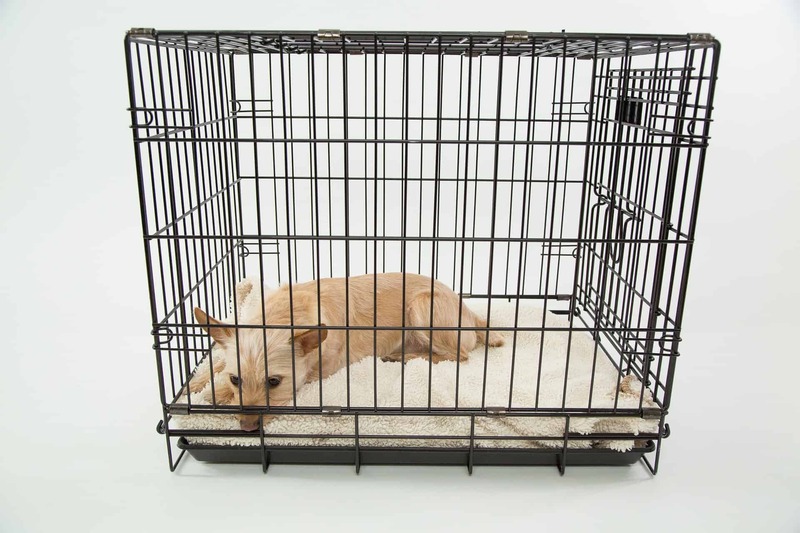 Consider keeping your pets separated by using a sturdy baby gate or a crate. The purpose for these barriers is to allow your cat to sniff out the dog on its own terms.Let your dog sniff the cat through the bars and get over its initial excitement. Your cat most likely will hiss and run away which is perfectly normal. Know he is well protected. Stroke your dog and your cat separately, but without washing your hands. This helps to exchange their scents. Your pets will take on this smell profile and it will become a normal smell in the house. Put your cat in a crate at night in the room where your dog sleeps and let them get used to each other over the next week. Later introduce your cat and dog by having your cat running free and your dog on leash. Keep your dog as calm as possible while on the leash. Using a command such as SIT can help. During this exercise, the cat should be given a safe position in the room. This allows your cat to get comfortable with your dog and approach it if it wants. Understand this may take quite some time and requires patience and rewards for your dog if it behaves well.You may need to work hard to keep things calm and be aware that a sudden dash from the cat will induce a chase. Praise your dog for calm interactions, make it sit quietly and, if necessary, use food treats to reward it for good behavior. Again, associate the presence of the cat with reward for calm behavior. When you progress to access without the lead, make sure there are places where the cat can escape to – high ledges or furniture will make it feel safe. 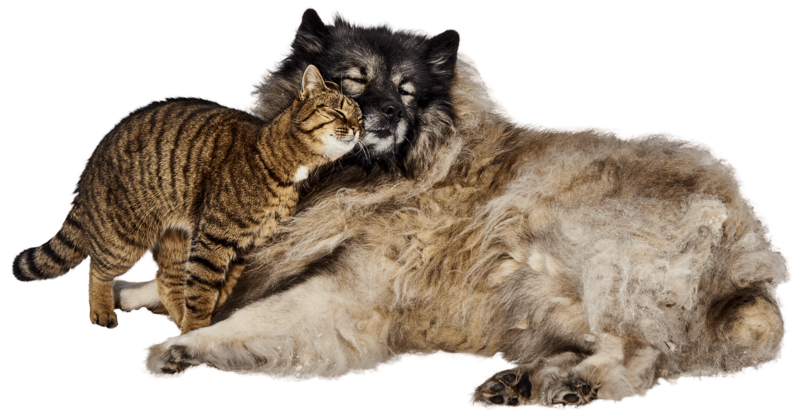 Never leave your dog and your cat together unattended until you feel they are safe together. Keep in mind that it might take time for your pets to completely accept other. When they do, you may even see them playing or cuddling each other. Then you know all your time and efforts were worth it.